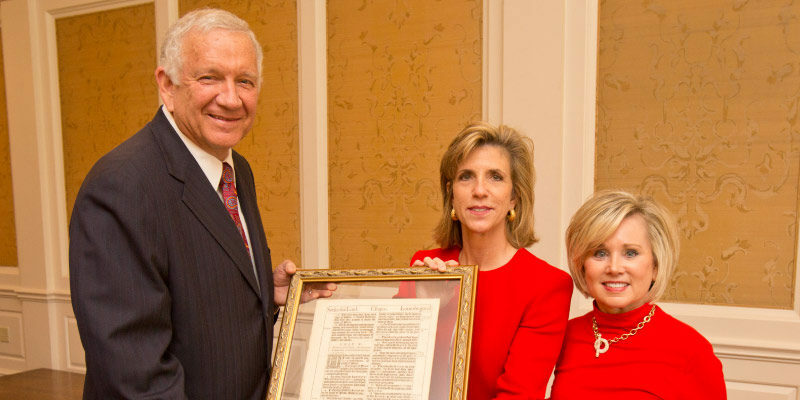 During its annual Christmas Luncheon in December at River Oaks Country Club, The Guild demonstrated yet again that its dedication to Houston Baptist University is incredible. Members of The Guild have raised more than $1.7 million in scholarships for graduate students in education and theology, as well as special projects. During the luncheon, Guild President Jan Witham presented Dr. Sloan with a gift of $20,000 for The Guild Institute in Christian Family Studies. This year’s guest speaker, Kelly Siegler, was a former Harris County prosecutor and current star of the television series Cold Justice, in which she solves cold murder cases across the country. In her keynote speech, “Waiting on God,” she explored her experiences as a prosecutor and the trials of waiting for a sign from God while still trusting in Him. More than 400 attendees also heard Joshua Hilburn, now a pastor at Ecclesia Houston, speak about his experience as a recipient of The Guild’s Robert Sloan Endowed Scholarship.